April 19, 2016 This post may contain affiliate links. Earlier this year, some friends of ours went on a Gulf County, FL vacation. When they first left, I commented that I hoped they’d have a great time, and then I didn’t give it another thought. Until the pictures started rolling in. I’m telling you, my tune changed rather quickly! 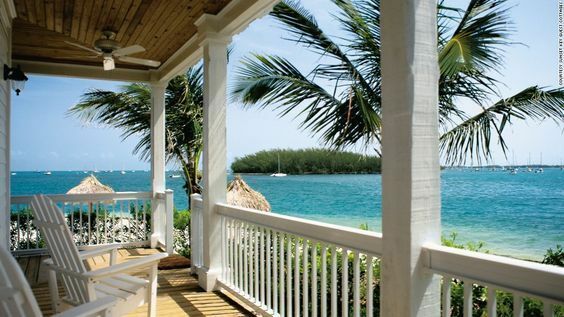 It’s amazing how pictures can just draw us right in immediately… and how a few months later, I still can’t let go and am spending a bit too much time looking at some of the gorgeous homes offered through Serenity Beach Rentals ! It seemed like when our kids were younger, we had a number of years where we took the same vacation every year. It was familiar, close to home and we knew what to expect. But that gets old fast, and who wants that out of a vacation?! Now that the kids are hitting the teen years, we’re looking for vacations that offer more excitement and adventure. We’re looking for vacations that get us outside and trying new activities. My husband grew up around water and his family loves to go boating. 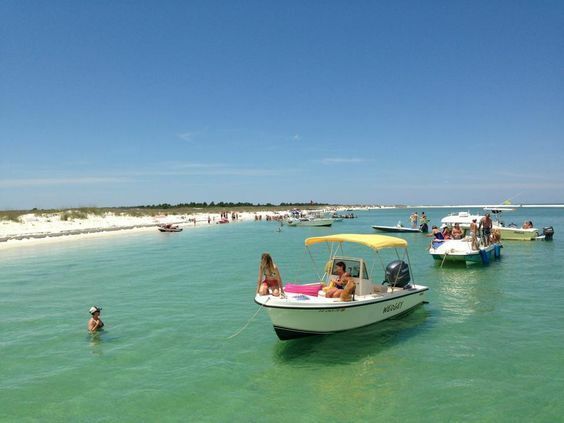 In GCFL, you could be anywhere, and there is a boating option no more than 15 minutes away! That just blows my mind and thrills my husband and kids! And not only is there water, but there’s lots of it and all varieties! You can enjoy anything from the Gulf of Mexico to the saltwater of St. Joseph Bay. The Intracoastal Waterway to the freshwater of the Dead Lakes, and many more options! Nothing screams summer more than being surrounded by water and beaches! For me?? I’m a hiking girl. I love walking out the front door and just exploring all day long. Gulf County is particularly perfect for hiking because it was created organically by the locals and nature itself. It doesn’t feel forced like some tourist locations. 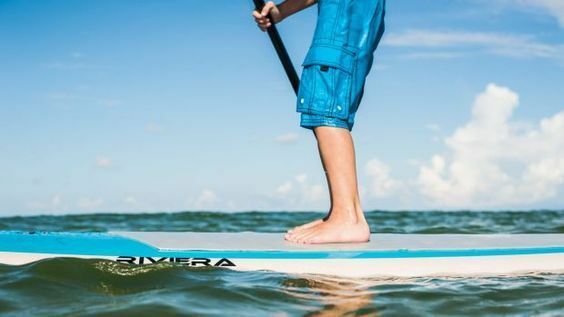 The activities are all centered around the abundance of water and wildlife, so you could go every summer and never get the feeling that you’re having the same vacation repeatedly (you know, that feeling that I’ve been trying to avoid!!)! It’s calm, peaceful and slow-paced. 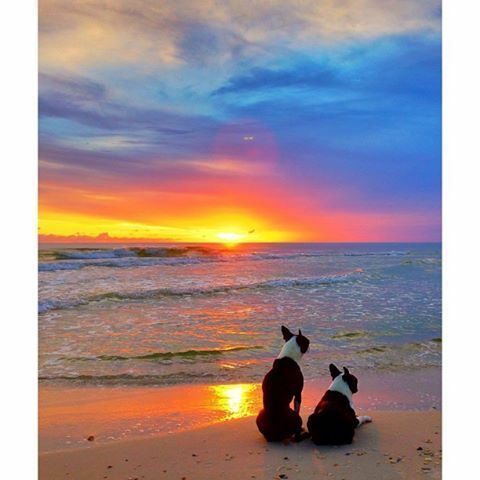 Plus, it’s filled with pet-friendly beaches!! We are trying our hardest to only find vacation spots that we can take our puppy along with us, and GCFL fits the bill! One of the places that all 4 of us are intrigued by and dying to visit, is the Dead Lakes! I’ll go ahead and admit that part of the reason is because one of my very favorite songs is Tupelo Honey by Van Morrison and the Dead Lakes is where Tupelo Honey originates from! But, there’s so much more to this area and the history behind it! I want you to find out why for yourself and I’ll pick one of the correct answers to win a $100 Sierra Trading Post gift certificate!! *CONTEST IS NOW CLOSED!! * That’s right, it’s GIVEAWAY time!! Visit GCFL Adventure Guide to find the answer to the question below! Just leave a comment letting me know and I’ll pick one of the comments to win the gift certificate! The Dead Lakes get their name from the Cypress and Tupelo trees that stand in the water. When the water is low, you can see the stumps rising out of the swamp. The Dead Lakes get their name from the Cypress and Tupelo trees that stand in the water. When the water is low, you can see the stumps rising out of the swamp. Sounds like a great place to go kayaking! I love to Kayak!! It is called the dead lakes because of the tree stumps! And I really want to visit! The Dead Lakes name originate from the Cypress and Tupelo trees standing in the water. You can see the stumps rising out of the swamp when the water is low! 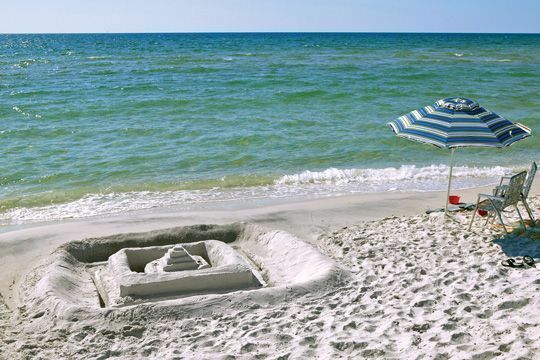 This looks like an amazing place to vacation! The Dead Lakes get their name from the Cypress and Tupelo trees that stand in the water. When the water is low, you can see the stumps rising out of the swamp. I think those are so eerily beautiful! I love stuff like this. I live decently close to the gulf and I love learning new things about it! According to the article, they’re called the dead lakes because you can see the tupelo and cypress stumps standing in the water when the water levels are low. Creepy-cool! “The Dead Lakes get their name from the Cypress and Tupelo trees that stand in the water. When the water is low, you can see the stumps rising out of the swamp.” Sounds beautiful to me! When the water is low in the lakes you see the tree stumps rising. Very neat place,would love to visit! They get their name from the cypress and tupelo trees that stand in the water. Dead Lakes is reported to have been formed when sand bars created by the current of the Apalachicola River blocked the Chipola River. The ensuing high water killed thousands of trees in the floodplain, giving the area its name. When the water is low, you can see the Cypress and Tupelo stumps rising out of the swamp. 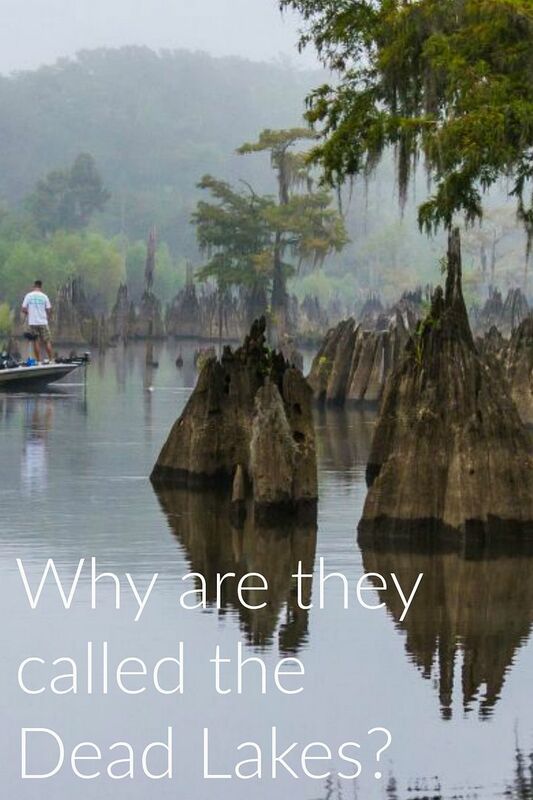 Their name comes from the Cypress and Tupelo tree stumps that appear when the water is low – looks like it’d make for an awesome kayaking trip! The Dead Lakes get their name from the Cypress and Tupelo trees that stand in the water. When the water is low, you can see the stumps rising out of the swamp..
“The Dead Lakes get their name from the Cypress & Tupelo trees that stand in the water. When the water is low, you can see the stumps rising out of the swamp.” Very interesting…sounds like my kinda place to visit! They got their name from the Cypress and Tupelo trees that stand in the water. When the water is low, you can see the stumps rising out of the swamp. The dead lakes get their name from the Cypress and Tupelo trees that stand in the water. When the water is low, you can see the stumps rising out of the swamp. Looks like an amazing trip to be planned in our future! The dead lakes get their name from the Cypress and Tupelo trees that stand in the water. When the water is low, you can see the stumps rising out of the swamp. Sounds so intriguing! The dead lakes are called such because of the Cypress and Tupelo trees that stand in the water. The stumps are visible when the swamp water level is low. The dead lakes get their name from the Cypress and Tupelo trees that stand in the water. When the water is low, you can see the stumps rising out of the swamp! “The Dead Lakes get their name from the Cypress and Tupelo trees that stand in the water. When the water is low, you can see the stumps rising out of the swamp.” Thanks for the review – a new place on my bucket list. The Dead Lakes get their name from the Cypress and Tupelo trees that stand in the water. When the water is low, you can see the stumps rising out of the swamp. I would love to go kayaking there! Oh they get their name from the Cypress and Tupelo trees that stand in the water. When the water is low, you can see the stumps rising out of the swamp! I would love to visit in May and see the White Tupelo in full bloom! The Dead Lakes name comes from the Cypress and Tupelo trees that stand in the water. You can see the stumps rising out of the swamp when the water is low! “The Dead Lakes get their name from the Cypress and Tupelo trees that stand in the water. When the water is low, you can see the stumps rising out of the swamp.” Would love to visit one day! Sound amazing! The Dead Lakes get their name from the Cypress and Tupelo trees that stand in the water. It’s beautiful! We got married in the FL Golf. I’ve only been back once since, but I’m really looking forward to taking our kids soon! The dead lakes get their name from the Cypress and Tupelo trees that stand in the water. When the water is low, you can see the stumps rising out of the swamp. I’m putting this on my to do list. It’s called Dead Lakes because of the exposed Cypress stumps when the water is low. Beautiful pictures, BTW. The Cypress stumps can be seen when the water is low. I thought those were called “knees.” Being from Louisiana, I love cypress trees! The website says that The Dead Lakes get their name from the Cypress and Tupelo trees that stand in the water. When the water is low, you can see the stumps rising out of the swamp. It sounds like it is really a sight to see!!!! The Dead Lakes get their name from the Cypress and Tupelo tree stumps that are exposed when the water level is low. 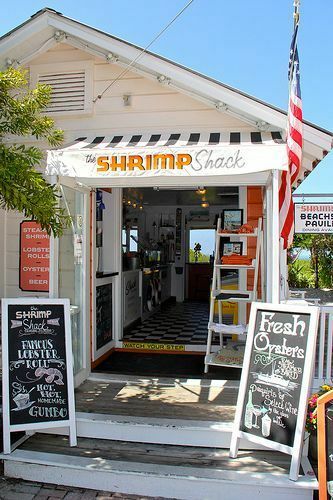 Sounds like a really cool hidden gem in FL! This is kind of creepy looking to me but I think that it’d be fun to check out. They are called the Dead Lakes because of the Cypress Trees and Tupelo trees, the water is lower, and the stumps are visible. I t says it is a hauntingly beautiful water-based graveyard of bottom heavy cypress skeletons, stumps and knees…where you can find great fishing. The dead lakes get their name from the Cypress and Tupelo trees that stand in the water. When the water is low, you can see the stumps rising out of the swamp. Thanks! The Dead Lakes get their name from the Cypress and Tupelo trees that stand in the water. When the water is low, you can see the stumps rising out of the swamp. Wow, so beautiful! I’d love to visit. The Dead Lakes get their name from the Cypress and Tupelo trees in the water. Dead Lakes is described as a hauntingly beautiful water-based graveyard of bottom heavy cypress skeletons, stumps and knees. I’d love to visit one day and I know my husband would love the fishing! Thank you! The Dead Lakes gets the name from the stumps of the Cypress and Tupelo trees. The Dead Lakes get their name from the Cypress and Tupelo trees that stand in the water. When the water is low, you can see the stumps rising out of the swamp. Now I really want to go see it! The Dead Lakes get their name from the Cypress and Tupelo trees that stand in the water. When the water is low, you can see the stumps rising out of the swamp. It’s like nothing you’ve seen before. People don’t know what you’re talking about and then they have an “aha” moment when they paddle around the shallows in the South Flats. The stumps are so concentrated here that people have told me it’s like being on another planet. “The Dead Lakes get their name from the Cypress and Tupelo trees that stand in the water. When the water is low, you can see the stumps rising out of the swamp. The Dead Lakes get their name from tree stumps of cypress and tupelo rising from low water. “The Dead Lakes get their name from the Cypress and Tupelo trees that stand in the water. When the water is low, you can see the stumps rising out of the swamp.” I would love to check it out for myself sometime! The Dead Lakes get their name from the Cypress and Tupelo trees that stand in the water. You can see the stumps rising out of the swamp when the water is low.